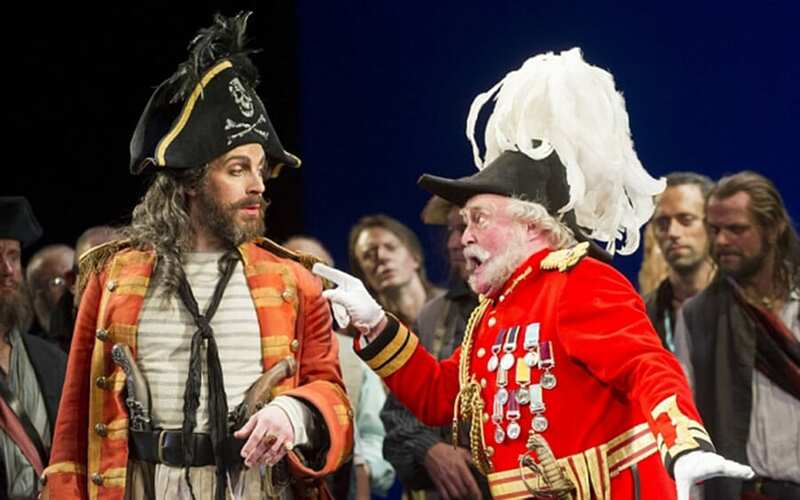 ENO have quite a happy relationship with Gilbert and Sullivan. 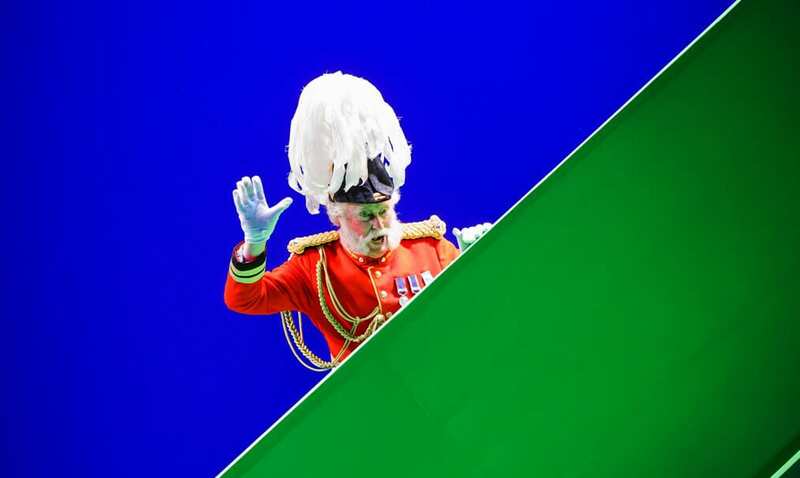 Jonathan Miller’s production of The Mikado has been in the repertoire since 1987 (and is having another outing, starting in November 2015) and with its bold ‘concept’ and look it’s a genuine crowd-pleaser, and more importantly money in the bank at a time when company finances are apt to look precarious. 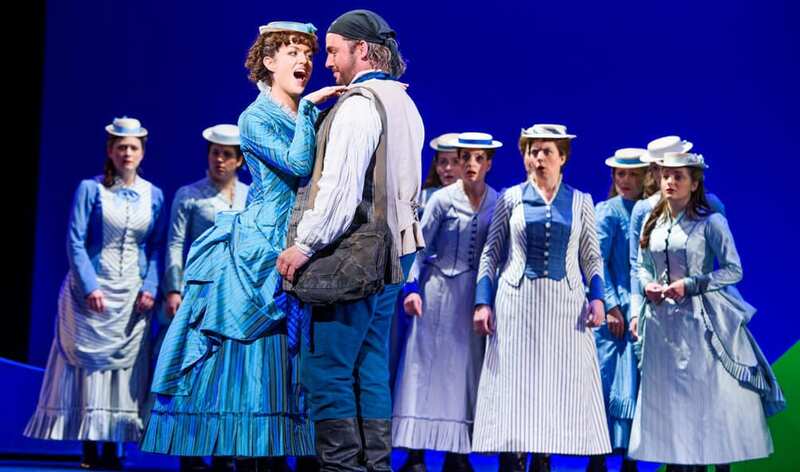 I’m afraid to say I don’t think ENO’s new co-production of The Pirates of Penzance, directed by Mike Leigh, is going to be anything like as successful, though it does have an awful lot going for it. The reason for my relative negativity is one which is pretty integral to the production, but before I get to that, the positives. I won’t bother you with the plot. 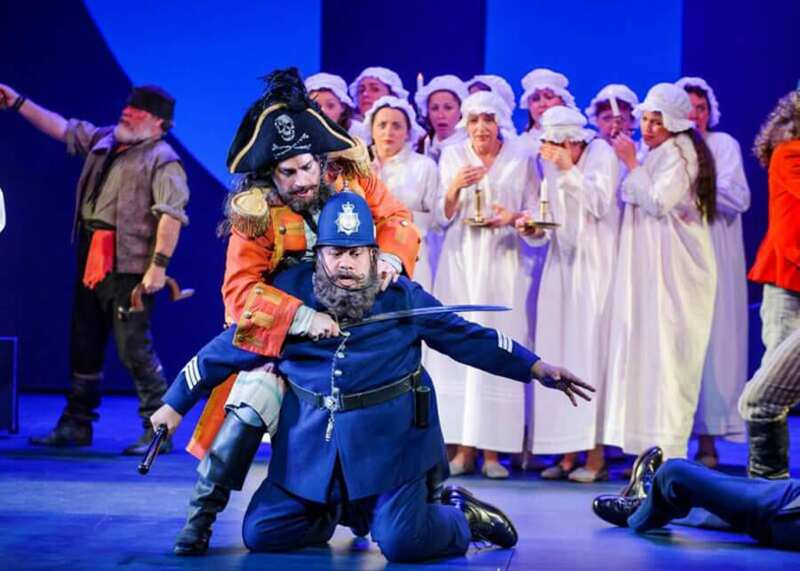 Suffice to say it revolves around pirates, a socially aspirational member of the armed forces who has an inordinately large number of daughters, and members of the local Cornish constabulary. 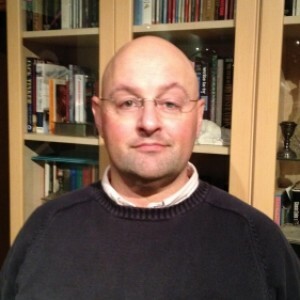 One of the ways in which Leigh has certainly made his mark is in characterisation. I think this is the first Pirates I’ve ever seen where the characters, especially the women’s roles, have real depth. Add to that that he’s given them realistic accents and what we see on stage is a cross section of Victorian society. So the Pirate King (Joshua Bloom, making a very impressive ENO debut with excellent projection and diction) is vaguely upper class, Major-General Stanley (Andrew Shore in a role debut) is very ‘Chelsea’ and his daughters, led by Mable (Claudia Boyle making an assured and crystal clear ENO debut) could have come straight from Sloane Square, and the local Cornish Sergeant of Police (New Zealand born Jonathan Lemalu making another ENO debut with the funniest and most keenly observed performance of the evening) is a Cornishman in both sung and spoken word, as is the rather timid force he leads. In fact the casting is nigh-on perfect in almost all the major roles. It’s all the more of a puzzle, therefore, that the role of Frederic, a twenty-one year old apprentice who young women swoon at the sight of, should have been given to Robert Murray who though perfectly competent in both acting and singing the role, looks to be fast approaching forty and, to put it kindly, does not appear to be a regular gym goer, a fact that even the ENO costume and wig departments – who have acquitted themselves gloriously elsewhere in dressing this production in full period costume – do not seem to have been able to cover up. There are nice directorial touches, such as making it clear that Major-General Stanley’s ‘I am the very model of a modern major General’ isn’t something which he’s put together off the cuff, but is a well-rehearsed list of his achievements which his daughters have heard a hundred times before. The character of Mabel comes across as coquettish and flighty, as opposed to just wet, which is how she’s all too often portrayed, and ‘Hail Poetry’ presented ‘in one’ was ENO at its finest, and genuinely gave me goose bumps. In fact the chorus and orchestra conducted by David Parry sounded rather good, even if there were a few balance issues, which I’m sure will be sorted out for future performances. So why, if the cast, costumes, sound, and direction are so pleasing, do I not think this is a show which will survive in the repertoire? It’s pretty simple, literally: The Set. Alison Chitty’s set is ugly. There’s no other word for it. It has all the visual appeal of a box of Fuzzy-Felt, though none of the inherent entertainment value. It’s essentially a blue screen with a big hole in the middle. There is only one moment when the set is anything other than a distraction, and that involves the Police in Act Two, but I won’t spoil the surprise, which when it comes is genuinely arresting, if you’ll forgive the pun. All in all, this would probably be a goer if the production hadn’t suffered under the hand of the set designer, but I suspect that for it’s opening season at least, it will sell very well. Whether or not ENO will reap the rewards of repeat business remains to be seen.